Worlds are colliding! 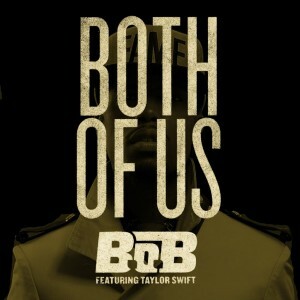 Yes indeed, the sweet, innocent country starlet Taylor Swift has teamed up with the gritty, street-wise rapper B.o.B. on his brand new single ‘Both Of Us’, the official video for which broke earlier today. The track itself has peaked just inside the top 50 on the ARIA charts thus far, with a single release proper still incoming, as well as a top 20 placing on the Billboard singles chart. The clip features the country songstress in pensive mode, wishing for greater strength, delivering the words with delicacy and confidence. B.o.B. explodes onto screens with his grittier rap to give the track a real sense of ying and yang, light and dark.